I’ve been working on some test knits for friends as well as taking a class or two on sweater knitting. Both of these tasks have been a source of great inspiration for me and have caused me look at what I would like to knit with going forward. Needless to say, I have succumbed to the knowledge that I have way more yarn than I can hope to knit with in the next few years. Especially, given my current rate of production (with a typically steep drop off in the summer months) AND my current rate of fiber acquisition. Last night after work, my brain sort of snapped and I went into “love it or lose it” mode with my stash. Several lovely yarns that usually make the cut during such culls were finally recognized for the beautiful yarn they are that I will just never knit. 🙂 It’s good to know where you really stand on something. 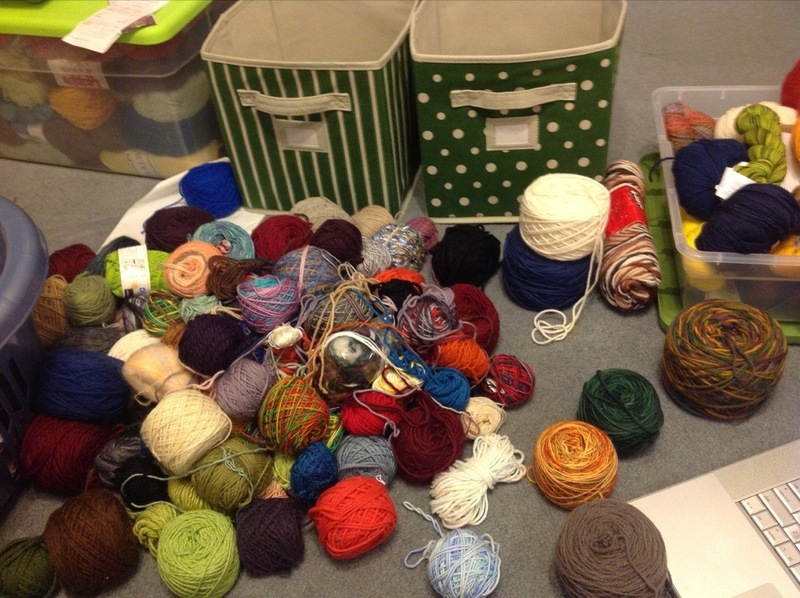 Unfortunately, I don’t have a ton of space in my home (hush you) to store yarns just for looking at. 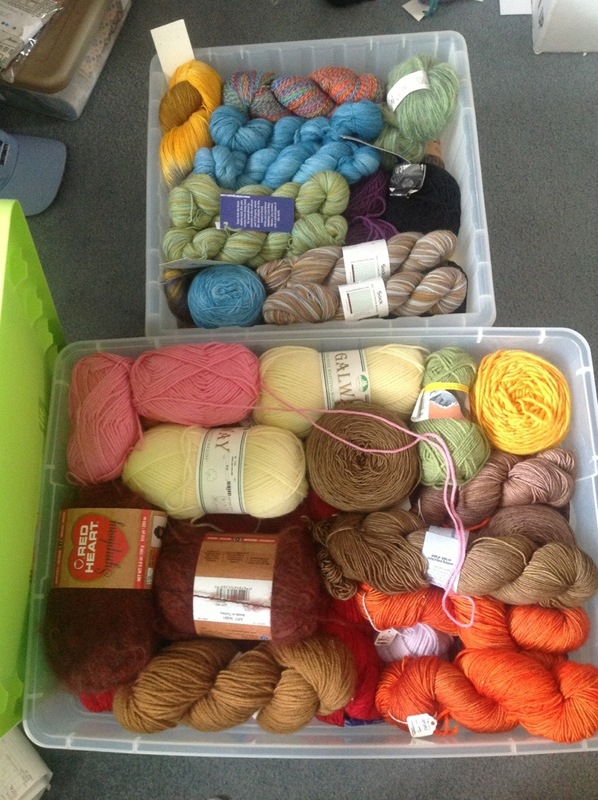 So I posted a rather large destash (for me at least) on the ISO boards on Ravelry. I figured I should let you know that I am looking to send some of these lovelies off to new homes where they can actually be appreciated. Hah, now it feels a bit like I am talking about one of my foster dogs. 😀 Here’s a link to my Ravelry destash, if you find something you like and can give a good home to, let me know! You can see a snapshot of my destash bins below. Yes, now there are two destash bins. Clearly, early knitting Erin did not buy yarn appropriately for her future. Also, some of the sweater quantities aren’t enough yarn for the sweaters I want to knit now. Two nights ago, my husband sent me a message informing me that I need to start another baby blanket. After making sure he wasn’t telling me that we are pregnant (bwahahaha) we started looking through my fabric stash for the fixings for a baby quilt. This little guy’s big sister got a great pinwheel quilt last year so I want to do something similar for him. Of course, going through the fabric stash reinforced the fact that I totally also have a fabric stash… oy. So, later this summer, it’s entirely possible that I may post some fabrics here that are looking for a good home. But you can’t have my fiber. No sireeeeee! I have to draw the line somewhere. This entry was posted in Fabric, Yarn. Bookmark the permalink.